The Vault is a Lake Stevens Recreational Marijuana Dispensary The Vault offers Lake Stevens and beyond a carefully cultivated cannabis experience, harnessing years of working in the marijuana industry to serve as a premium recreational marijuana dispensary. With the highest quality brand names and farm sources, The Vault couples product knowledge, low prices, and dedicated customer service to provide the ultimate in dispensary experiences. History: The Vault’s Lake Stevens location began as a medical marijuana dispensary, serving their community for five years before transitioning alongside the recreational market. They harnessed their years in the medical industry to hone their cannabis knowledge, allowing the Vault to analyze every aspect of the creation of a cannabis product and find the best marijuana brands.Their efforts paid off, within one year of becoming recreational their Lake Stevens dispensary serves over twenty thousand customers per month. In addition to their excellent customer service, The Vault in Lake Stevens hosts vendor seminars, featuring particular brands and offering great deals while explaining who they are. Always focusing on quality over quantity, The Vault proudly welcomes, educates and caters to every valued guest to their dispensary. Menu: The Vault works hard to line the shelves of their Lake Stevens dispensary with hundreds of different cannabis products to suit every palate. With dozens of different flower strains, concentrates, edibles, topicals, tinctures, and more, The Vault’s dispensary carries something for everyone. They strive to showcase as many Washington brands as possible, offering Phat Panda, Clandestine, Golden Tree, Project M and much more. Their Dutch Berry and Gorilla Glue #4 strains fly off their marijuana dispensary shelves, and Oleum's many crystalline and distillate products attract cannabis connoisseurs from far and wide. 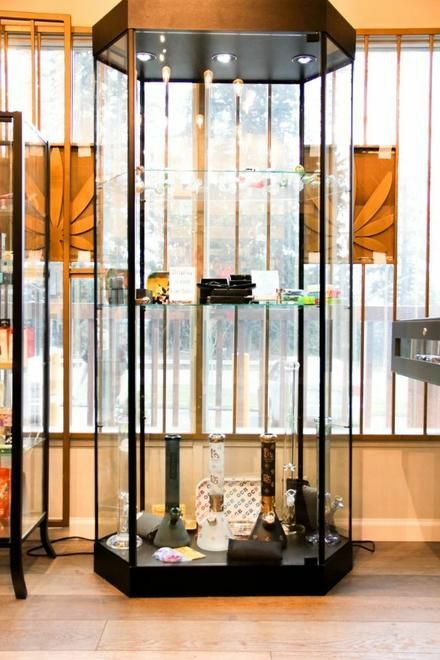 In addition to their marijuana stockpile, The Vault in Lake Stevens supplies guests with a modest selection of glassware, vaping accessories and other cannabis paraphernalia. All marijuana products undergo lab testing before arriving on The Vault’s shelves. While they accept cash only, The Vault offers 10% discounts for veterans, seniors, and medical patients’ purchase. They encourage curious customers to connect with their dispensary on Facebook, Instagram or through their website. Their Lake Stevens location offers plentiful parking, with nearly twenty spaces available for their dispensary patrons. Service Locations: Calling Lake Stevens their home, The Vault lies directly on Highway 9, north of the I-2 freeway. Their dispensary invites visitors from Arlington, Monroe, Lake Stevens, and Three Lakes to explore their cannabis selection. They cater to visitors from Everett, Marysville, Lake Bosworth, and Getchell, and also welcome patrons from Mukilteo, Snohomish and Granite Falls. From the farthest reaches of Mill Creek, Lynnwood, and Bothell to Arlington Tulalip Bay and Whidbey Island, The Vault proudly serves their highly valued customers. Location Information: Lake Stevens lies in Northern Washington, a few miles east of Port Susan and the Possession Sound. The Lake offers picnic waterside views and boating opportunities, while the nearby Spencer Island Park flanks the Snohomish River. The Evergreen Speedway hosts drag racing and demolition derbies in its huge arena, while the Lord Hill Park boasts nearly 1500 acres of forest and hiking trails. From the Tulalip Resort Casino to Paine Field and beyond, The Vault invites any curious cannabis enthusiast to their welcoming dispensary.